A broad variety of technological goods blesses and curses us with a question of choice at the same moment. This problem aggravates with vivid complimentary reviews to each model that highlight only minor flaws that aren’t helpful in terms of making a final choice. Thus, I’ve come up with the idea to create a list to assist you in finding your best AV receiver under 500. This price allows you to purchase a sturdy model that is able to fulfill your demands. 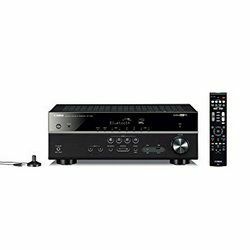 Receivers in this price range are modern and sophisticated; they include many contemporary technologies but not all, of course. This price range, as seen from my personal testing, comprises affordable models with essential features, such as the Denon AVRX1500 with the high-quality picture and sounding, or the Pioneer SC-LX501 that has the famous MCACC automatic speaker and room calibration system. I’ve included practical advantages and disadvantages of each model, which I’ve discovered during my testing. In addition, I’ve decided that it would be useful to compare old and new versions of the device that has an upgraded version. 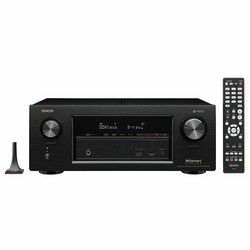 However, if you’re looking for some specific features, browse only through detailed receiver reviews and pro and cons, because models of previous years already comprise all essential features. So, don’t chase for the freshest models, they aren’t necessarily better for sure. Moreover, they’re at least $100 more expensive. 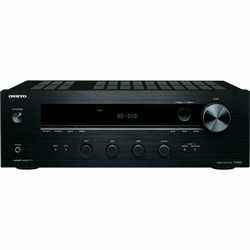 My list of top AV receivers under 500 includes six most popular brands such as Onkyo, Denon, Marantz, Pioneer, Yamaha, and Sony that have already carved their names in the history of electronic products development. Besides, I’ve found the most popular models of these brands and scrutinized them. 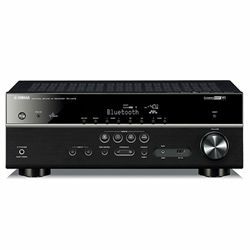 This device provides great sounding not only due to the speakers quality but also thanks to the auto-calibration feature. It deals with the resonance of a room by adjusting the sound according to the surroundings. 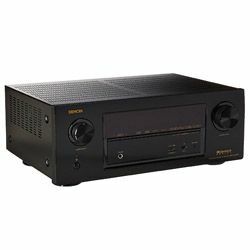 It amplifies the power of the receiver’s sound, making it deeper. 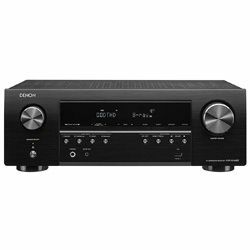 Although I’ve found in the manual setup that Onkyo TX-NR686 has settings for 4 and 6 Ohms, in fact it can be supposedly compatible within the range of 4 to 16 Ohms. I wish the initial setup guide was more user-oriented. In short, this model doesn’t have settings for 16 Ohms (at least I failed to find it in the manual setup options). Amazon Music, Deezer, Spotify, TuneIn, Tidal, and Deezer (as well as Bluetooth, AirPlay, and Google Chromecast) are easily accessible through the Onkyo Controller, so I’m not concerned about connectivity because, in addition to this, it also has a couple of legacy ports. 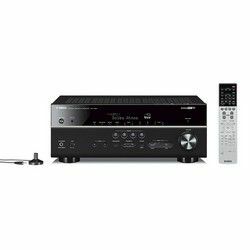 This one has native support for both surround sound, DTS:X, and Dolby Atmos, as well as the latest formats. 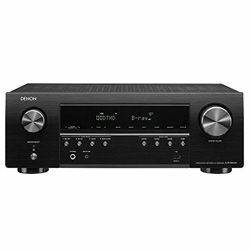 Onkyo TX-NR686 has six HDCP 2.2 HDMI inputs for 4K content, Dolby Vision, and HDR10. 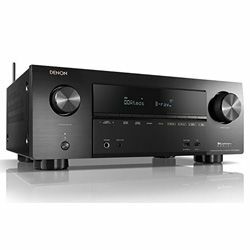 Also, the inputs are visually separated into two zones – each one allows you to run speakers for multiple rooms independently or even use different audio sources. The model has only audio “built-in Chromecast”; it isn’t the end of the world, but it should have been stated in the description. The parameters are immense − 14.9 x 17.1 x 6.8 inches; weight − 22 pounds; it's twice as big as a typical model. So, prior buying, check up the space dimension where you’re going to put it in. When I tried to watch the DVD, the player would work only if I switched off the HDMI Blu-Ray input and turned on the DVD component input, so that the BD/DVD button could work with it. 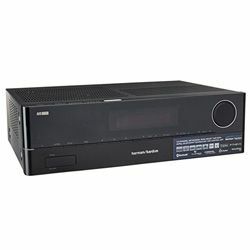 The receiver has the full package of features and even more: a full set of banana jacks, Ethernet jack, ARC, HDMI ports; thus, there aren’t any concerns about connectivity. Also, I didn’t waste time on calibration, it was done absolutely automatically. I’m astonished by the possibility to connect two separate sets of speakers. I connected outdoor and indoor speakers this way. Sound and image quality is improved by Ultra Low Jitter PLL that lowers jitter from digital sources – it is worth your attention while choosing a receiver. I was disappointed to discover that it was possible to play from a Bluetooth source but it was impossible to connect and listen through BT headphones. For those who, similar to me, are keen on all gadgets being connected and working together – a receiver with Google Home is right up your street. I’ve noticed that the DCAC EX calibration has been improved, so now it analyses the exact speaker package configuration and after that makes musical test tones. 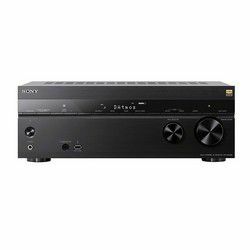 It’s Sony's first receiver to fully use DTS:X that is compatible with the newest formats, so no worries that something won’t be adjusted. It has the second Wi-Fi antenna, now it’s possible to connect dual-band Wi-Fi for Airplay, DLNA, and Chromecast. I’ve noticed that only four out of six HDMI connections react to the remote. The UI is super slow, it takes five seconds to get a Home screen after pressing the button. The initial Audyssey speaker level setup works great; the Wi-Fi firmware update goes perfectly. However, Alexa has flaws; mainly, it doesn’t work no matter how I’ve tried. I’m concerned only about the HDMI CEC that works on the shutdown but not on the startup. 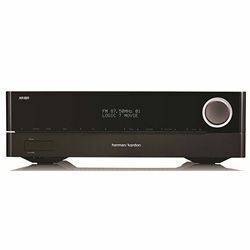 The NR1608 is a proper AV entertainer with an attractive form factor. It can impress with action movies and has an inherent stereophony that also offers nice High-Res audio. 5.1.2 Atmos is more effective in smaller listening areas. A Harmony remote performs steadily and correctly; in case you take a cable TV remote, it connects to external speakers through the cable box and TV. I guess it is a function of the HDMI/ARC input/output on my TV that works flawlessly — turning off the TV on one of the remotes switches off the power of this receiver. The model lacks a second HDMI output. I would like to hook it up to some wireless headphones. I send common analog L/R audio to my headphones because it only has that secondary monitoring output option. If you use a component input, you are limited to the low definition input for HDMI output. The video scalar for sure can support incoming component out to HDMI, and it has to be HDCP-compliant. 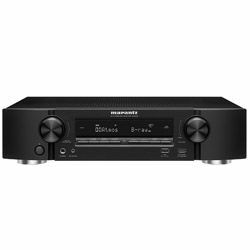 The new slim version, Marantz NR1609, has less than half the height of traditional AV receivers. Also, it works better with Alexa. 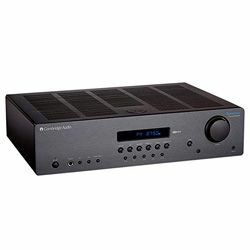 I’ve used a new control app (the Android version) for this receiver, which works perfectly/ However, when I was controlling it on our desktop computer, it once got stuck in Spotify Connect instead of going to the Media Player mode. It was strange, I still haven’t understood the reason. However, the multiroom capability is great, I’m already used to having different functioning sources in two rooms simultaneously. A dual subwoofer output gives incomparable bass depth; two subwoofers placed in different locations deliver accurate bass anywhere in the room. The biggest upgrade, I think, is bass frequencies that sound more agile and deeper in comparison to previous models of this series. 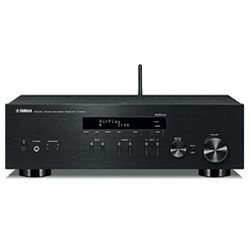 It’s strange that the receiver at such a price cannot support four height channels. It has eight HDMI inputs but note that there is no port for a digital coaxial cable. An upgraded Denon AVRX2500 model has got multiple HDCP 2.2 inputs and now offers more connectivity and Alexa control; together they make its operation easier. 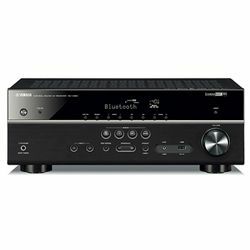 Atmos Sound is great but despite Component / Composite inputs, this can’t be converted to HDMI. 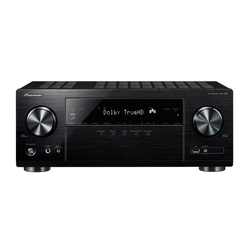 A built-in HEOS multi-room music system can be readily adjusted to the home network without any adaptors due to the dual-band Wi-Fi connection; it ensures filling every room with music even in a huge house. 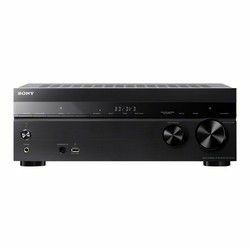 I assume that the main benefit of this receiver is that it connects very quickly and easily to both Wi-Fi and Bluetooth, and the Chromecast functions without lags. Also, I use the Onkyo Controller App on my smartphone to keep an eye on it. Many aspects (such as zone controls) are quicker and easier to perform through the app. I also adore the Apple AirPlay for playing music directly from my iPhone, which saves time. However, I should point out that I’ve had a few problems getting the Bluetooth music from Alexa, but it somehow corrected itself after a while. I also use a Harmony remote and it works perfectly. I’m delighted by the option to connect Wi-Fi and Pandora when the TV doesn’t work. 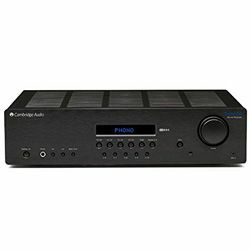 It happens that the direct input with no equalization button doesn’t work with the phono input, and I can’t figure out how to fix it. The setup process is easy, although it didn’t save the settings twice. I’ve also experienced an issue with the ARC HDMI - it used to switch to the TV input after about five seconds of watching Direct TV. 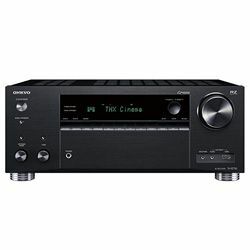 A new Onkyo TX-RZ830 model has a plethora of music streaming options, such as built-in Google Chromecast, which differs it from the previous models. I control playback via voice through my Google Assistant, get to Amazon Music via the Onkyo Music Control App; the likes of Tidal, TuneIn, Deezer, and Spotify are accessible from the Onkyo Controller that provides local and DLNA streaming. 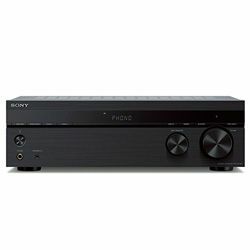 Moreover, there are two hi-res, multi-room streaming platforms: DTS Play-Fi and Onkyo’s own FlareConnect that give access to networked files and various music streaming services. 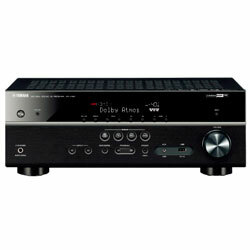 I can name it the best home theater receiver under 500 judging by its performance with my LG Oled 55" TV via ARC HDMI. I’m used to connecting a TV and a projector in one room and play different content on a second zone screen thanks to three HDMI outputs. 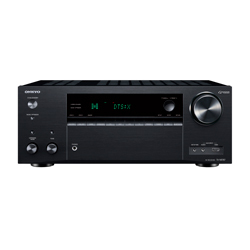 The sound is crisp and clear as you expect to have in more pricey models. Besides, it doesn’t have any voice latency or lagging issues. AVR-X1500 improves the quality of poor video resolution from any analog or digital source to 4K. 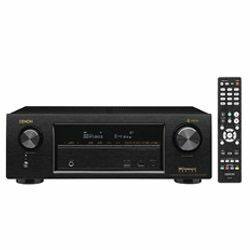 I hooked up this receiver to Alexa and use the HEOS app, so it saves my time. I don’t have any complaints about video quality, but the remote control is made out of cheap and flimsy material; it could look more presentably at such a price. The process of setup and connection to my 7.1 surround speaker system was very quick. I used the YPAO to adjust it, and I also connected it to Apple Airplay through Wi-Fi. I love the app, it’s so easy to use it without looking for a remote! Due to the two-zone capability, I’ve connected a 5.1 channel system and an extra pair of speakers for another area. It doesn’t overheat during long working periods. Regardless of this fact, I’ve installed it on an open shelf to prolong its life and prevent temperature rising. 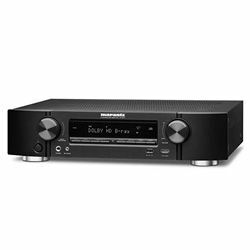 The sound is super strong, I use a Klipsch Reference sound system, and I’ve bi-amped the receiver to my R-28F towers and they are performing greatly together. I wish I could set up the 7-channel sound, but my place isn’t fit for the extra speakers. The sound is sharp, but the switching delays are irritating. Its sizing is massive, so consider this before choosing a place with sufficient clearance for cooling. The new Yamaha AVENTAGE RX-A780 has a sleek elegant design with its aluminum front panel and smooth volume knobs. This shield guaranties maximum sonic performance in different environments. 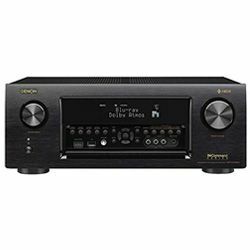 This feature, in addition to its external elegance, makes this device a reasonable candidate for the title of the best AV receiver under 500. The whole AVENTAGE series have achieved the highest possible sound performance. 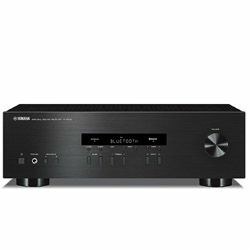 In addition, its outstanding new feature is that the receiver is shielded from external noise and electronic radiation generated by dimmer switches or video monitors. 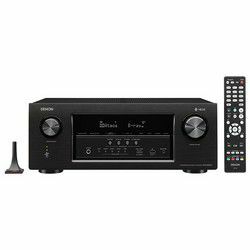 This device benefits from having the famous MCACC automatic speaker and room calibration system that makes it a sort of the best audio receiver under 500. The tones are relatively unusual, and the receiver is a bit slower than some systems. The levels and speaker distances are determined correctly; however, be ready to check and manually adjust the results. Also, at the end, it could be necessary to check the Audio Adjust part of the main System Setup menu. There is a deeper ‘Dolby’ menu, as well as ‘Loudness Management’. It differs from Dolby Volume, perhaps it’s some sort of a dialogue adjustment for Dolby TrueHD. Pioneer has finally decreased the amount of buttons on its remote. More functions are available via the on-screen interface. Voices are crisp and distinct, but they lack some nuances to feel human-like. The amp doesn’t quite reveal the full depth of the sound. 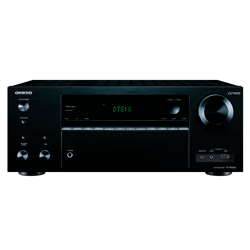 Presumably, its total harmonic distortion is about 10% — it’s noticeable but still better than in other receivers. The Pioneer’s calibration is one of the most exhaustive I’ve ever come across. I wasted at least 15 minutes, and finally it appeared to be quite accurate. The new Pioneer VSX-LX503 is twice as expensive as SC-LX501; it includes built-in Chromecast, FlareConnect wireless multiroom audio streaming, and a multitude of room correction and phase correction tools as part of its Multi-Channel Acoustic Calibration System. 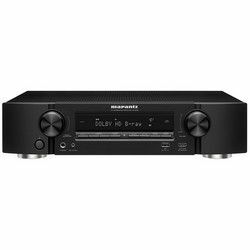 This new Elite VSX-LX503 can become the best receiver under 500 offering the ultimate Dolby Atmos or DTS:X surround-sound experience through speaker layouts up to 7.2.4 channels. 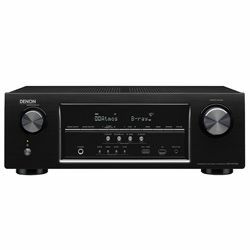 The VSX-LX503 offers 120 W per channel, features Pioneer's Direct Energy and is the first announced Elite receiver to earn the "Works With Sonos" certification. I didn't need to do any calibration. The MCACC technology ensures your sound is perfectly balanced! 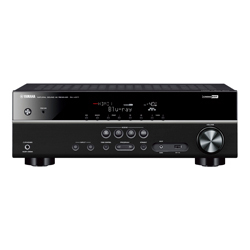 This receiver handles all of HDMI inputs without any problem. Dolby Vision from the Apple TV 4K works flawlessly. Switching between inputs is not a problem and is perfectly quick as well as the work of the HDMI outputs (one to a 4K TV and the other to a 4K projector). The setup process is really quick; the M-CR611 model has the frontal panel display that helps with this, and with navigating around the various inputs and browsing music libraries. A remote control is included, but I don’t use it, so I can’t say anything specific about it. The most important – the sound is clear and well-defined. No part of the frequency range feels too prominent or overlooked. 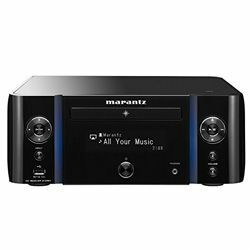 A quick download of the new Marantz Hi-Fi Remote app for iOS (it is also available for Android) offers me all that information on my phone and I don’t need to look for a remote each time. I’ve tested the FM radio; I had to physically unplug the power cord to regain control of the Internet radio source. It froze frequently and could be stabilized only with a manual control. This model is equipped with low impedance drive capability that provides operational stability with 4-Ohm speakers. 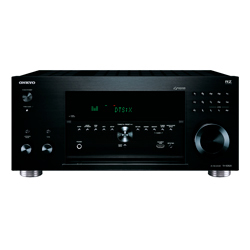 That makes AVR-S930H at least the best AV receiver under $500 in the Denon’s S Series. It’s possible to configure the AVR-S930H receiver for a 7-channel home theater surround system, but I’ve chosen to have a 5-channel surround system in the living room with two of the amplifier channels dedicated to driving separate stereo speakers in the bedroom. Control freaks, like me, can also download the Audyssey MultEQ Editor app which allows you to adjust settings for detailed tuning and customize the sound specifically according to your room, and tailor the sound to your personal preferences. This comprehensive app harnesses the power of Audyssey MultEQ taking a total control of the sounding of your home theater. Four Quick Select function buttons are placed on the front panel to facilitate a quick choice from several sources, and the system remembers this choice of audio settings for each one. I am used to controlling everything by the HEOS app in order to stream random songs or whole albums from the phone, USB stick, or computer and NAS drives on the home network. 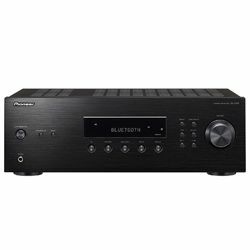 I was surprised that Alexa control works only with HEOS, thus I can't change inputs; volume control also doesn’t work as was claimed by Denon. I've managed to somewhat bypass this with 'All Zone Stereo', but it has to be manually turned on and off every time I use this source. The app works fine, but the remote is awful. I wish it wasn’t included at all; it only spoils the impression of the receiver kit. It stopped working after a few days. 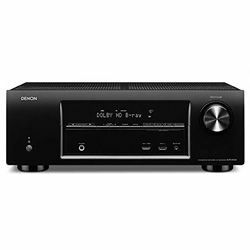 An innovated Denon AVRS940H receiver can be properly controlled through a Smart TV remote via the HDMI CEC functionality associated with the Smart TV, which is a crucial benefit in comparison to the previous model. 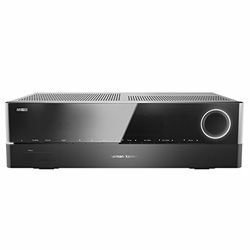 In order to start controlling the AVR-S940H with your TV remote, you should simply switch on “HDMI Control” in the receiver, then enable “Smart Menu”. The Smart Menu home screen will provide you quick access to the source and surround mode selections, the AVR setup menu and four Smart Selects. Moreover, it has a powered Zone 2 for the same or different source. This one definitely wins the award “the best audio receiver under 500” for clear bass sounding. 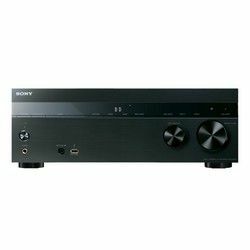 It equally passes through 1080P, 4K, HDR10, Dolby Vision and all speaker terminals except banana connectors. 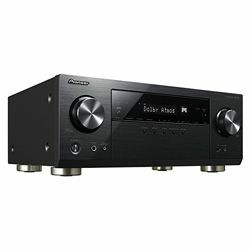 In addition, it drives the Polk RTi3A and the subwoofer nicely and with the great crossover matching. 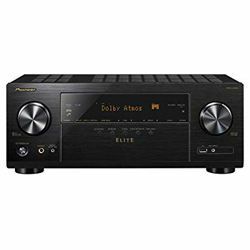 Dolby Atmos is phenomenal and so is DTS X. I did the firmware update; Google Play and all streaming services work flawlessly now. 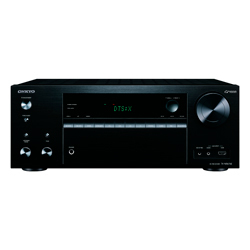 It isn’t so easy to activate Zone 2 with this Onkyo model; there are still some limitations to its performance; the setup process is complicated. It doesn't have a setting for 2.1 stereo, and after the Direct setting, the sub has turned off. Also, the Bluetooth connectivity failed and I couldn't fix it until I restarted the device. With the built-in Google Assistant, I’m used to controlling music on the new TX-RZ730 model by voice. Streaming music and controlling playback is possible with Chromecast, iOS apps (as well as it could be done from Android), Mac devices, or a Chromebook. For clearer demonstration, I’ve put all data of the best receivers under 500 with the full name of the model and its characteristics in a chart. This way you can have a more detailed comparison of your top choices. Select the most appealing models for you and compare them by quantitative parameters only.